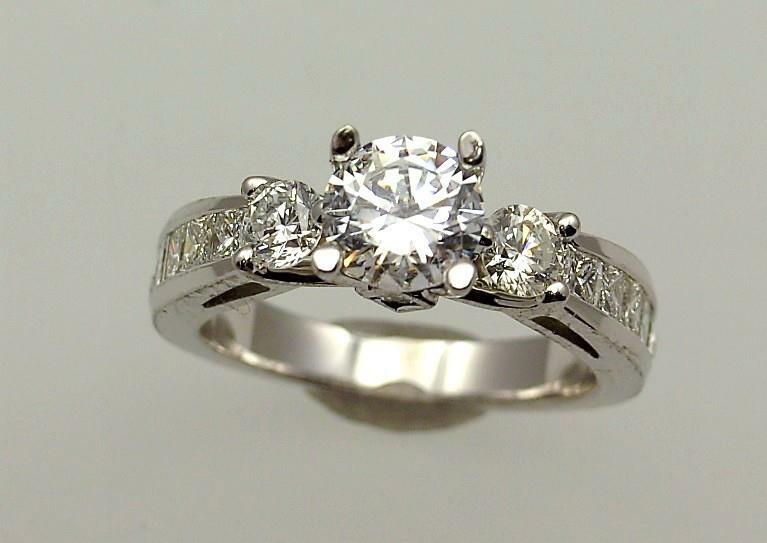 Posted on Nov 12, 2012 by Appleton Downtown Inc.
Tennie's Jewelry has this AWESOME 18K white gold three stone style ring mounting contains two round brilliant full cut diamonds weighing (.45 cts) total weight. There are four channel set princess cut diamonds running down each side of the ring and one under each side of the center stone. Princesses cut diamonds have a total weight of (.73 cts).